Another month has whizzed past us and we are well and truly into the second half of the year. 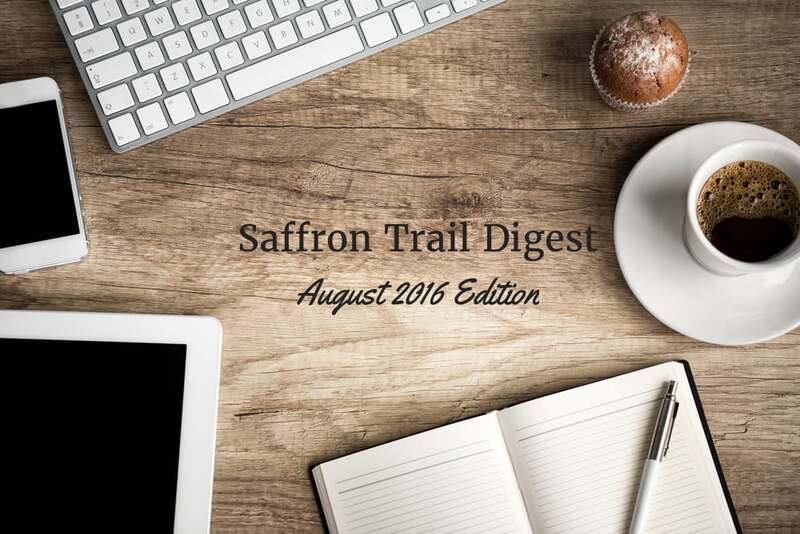 In this edition of the Saffron Trail Digest, instead of giving you a recap of the month gone by, I’m going to share with you, in brief, about food blogging and video content. Without mincing any words, let me jump to a question I am asked quite often. Should a food blogger have a YouTube channel? Let’s be honest here. The food Youtube stars are mostly the ones who started their vlogs first. 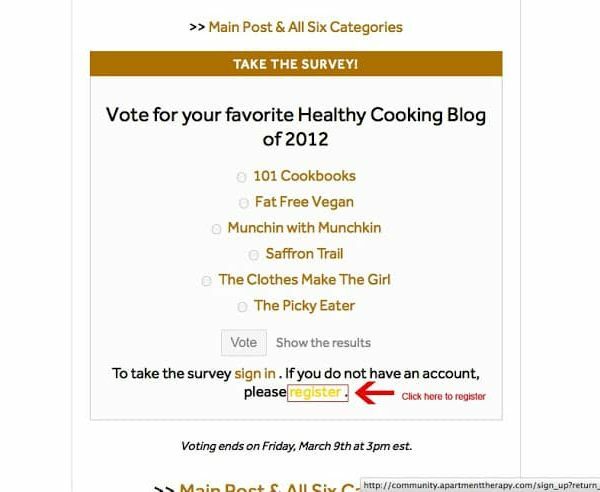 Their blogs exist as a side-kick to just to provide the recipe text. People know them for their videos more than their blogs. And then there are people who started off primarily as food bloggers, moving on to create video content and a Youtube channel much later. The food Youtube channel journey is one hell of an uphill road. Fame and monetisation are painstakingly slow to come by, while involving gruelling hours of work. Blogging does seem like cakewalk in comparison, because it can still be managed by a one-person-team. Video is almost impossible to manage without a team, and not to mention, a considerable monetary investment that will go into production and post-production. 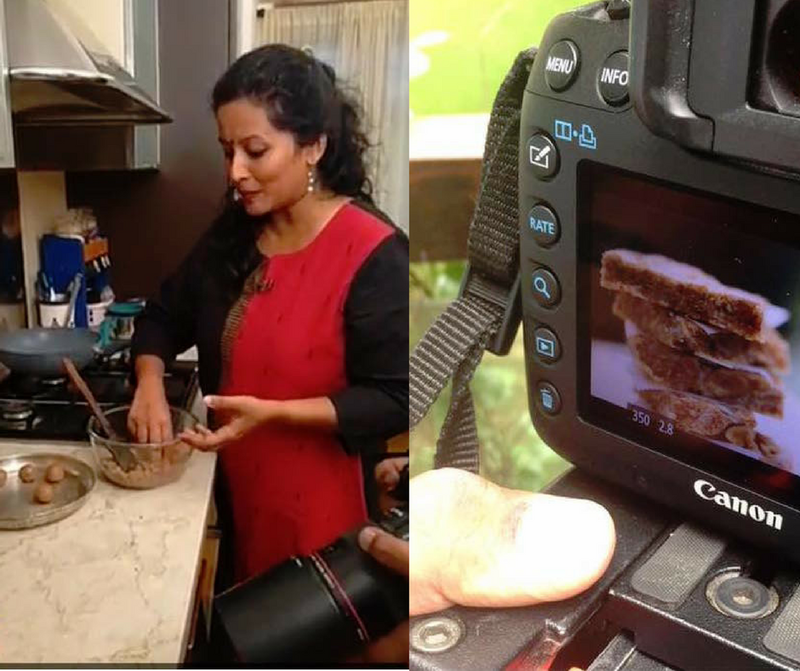 Do you want to be in the video space in addition to being a food blogger? Do you not mind the extra time, money and physical effort it will take? Are you okay with not getting any returns on it for the next 2-3 years (being optimistic here)? 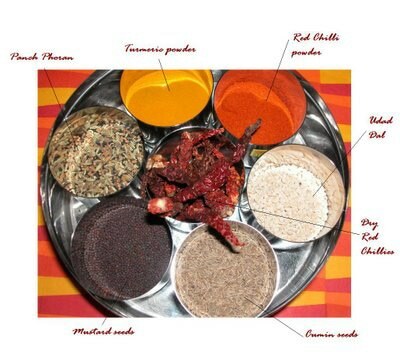 You need to explore the answers to these questions, before deciding on setting up a Food Youtube channel. However, Youtube is not the only space for video. Almost every social media platform is aiming big on video content. With so many routes one can take with video, it can be overwhelming and confusing for a food blogger. Here’s a quick summary of the other options for video content. Facebook Videos – Videos uploaded directly to Facebook with autoplay, thereby getting a large reach. With over 4 billion video views per day, it is no longer an option you can ignore. Facebook Live – This is an excellent way to connect with your audience on Facebook, in real time, be it doing a cooking demo or doing an AMA / QnA session for your audience. Periscope & Twitter – Periscope is Twitter’s live broadcast arm. The good thing about this is if you have a set engaged audience on Twitter, it can be easily extended to Periscope. For a food blogger, it is a good tool to broadcast a dining experience, a market visit or cooking live for an audience. I kicked off my first scope with much trepidation a few months ago, cooking a simple Sunday lunch. Periscope does need considerable bandwidth, so having high speed internet on WiFi helps. I haven’t had much luck doing a scope using 4G. For those not comfortable doing long live videos, you can record live or upload existing videos upto a length of 2 minutes 20 seconds on Twitter itself. Snapchat – Coming to Snapchat, I’m quite a newbie on this one. Like everyone else who is on the ‘other’ side of 30, even I was deterred by the assumption that it was only for teens and 20 somethings to exchange risqué photos and texts. But I’m now realising that with the universal appeal food has, it can be a winner on any medium. From showing what’s happening in your kitchen, to behind the scenes when you shoot a photo or video, to teaching a recipe in snaps, there’s a lot you can do as a food blogger on Snapchat. The good thing is you can even download your snaps (videos) and then use it on various other platforms like Twitter and Facebook. This is of importance because the time and effort you put into generating content can be recycled. Instagram – There is Instagram video, which now has a playtime of 1 minute. It was 15 seconds when it first launched and people are now uploading more videos than ever. Given the thumping success of Buzzfeed Tasty kind of videos, one minute seems plenty to run through a quick recipe. 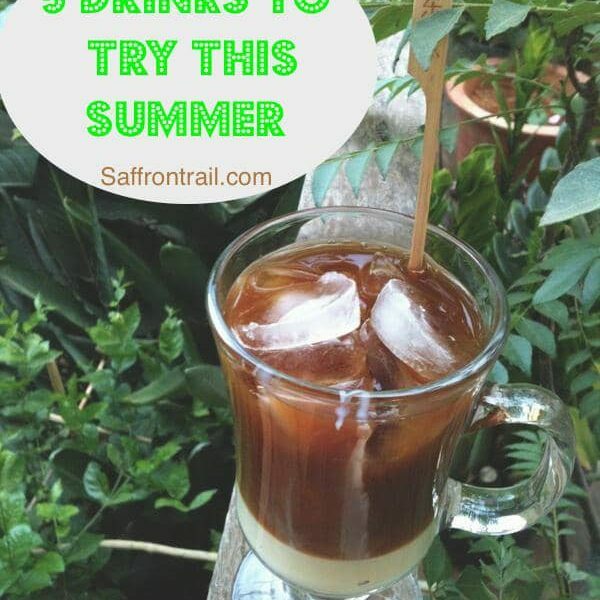 There are accounts exclusively posting video recipes on Instagram which command a huge following. If you already have an established account on Instagram, it is worthwhile sharing videos on a regular basis to keep your audience engaged. No matter what platform you choose, make sure you stick to your niche. Post content regularly where you want to grow your audience. Consistency is key. Plan your video content by constantly keeping a track of trends, but sticking to your niche at the same time. Keyword planning, Google trends are a couple of useful tools that help you plan content for your videos. A fun project that I kicked off last week with Twitter India is #TwitterTadka, my own weekly show on Periscope. Every Tuesday, I conduct a Twitter Poll to find out what my audience would like me to cook. I go live on Periscope on Wednesday evening, cooking the dish / cuisine / with the ingredient that gets the maximum votes in the poll. Last week, the ingredient in focus was potato and I had given my audience a choice of 3 potato dishes and cooked Potato Podimas. So follow the hashtag #TwitterTadka on Twitter and stay tuned for tomorrow’s poll. I can share a lot more on what goes into the making of food videos on Youtube, but may be in another post. 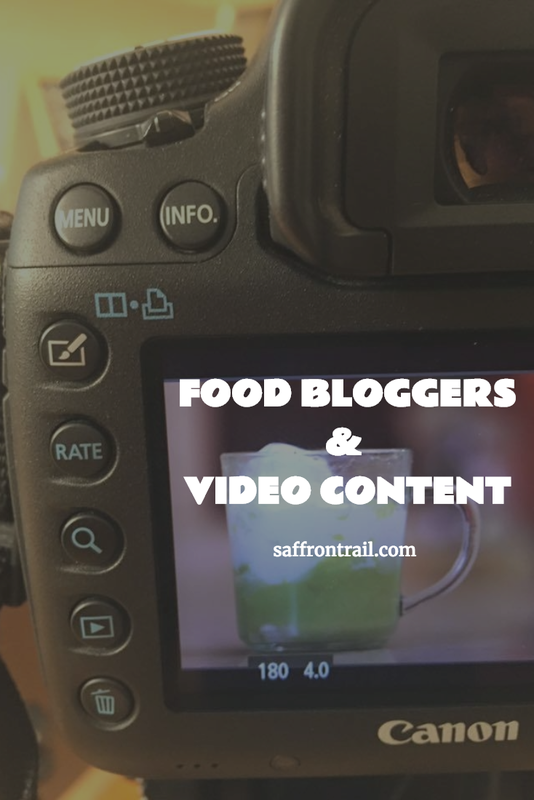 Meanwhile, if you have any questions on generating video content as a food blogger, do leave me a comment and I’ll try my best to address them.